Telematics created by contractors, for contractors. 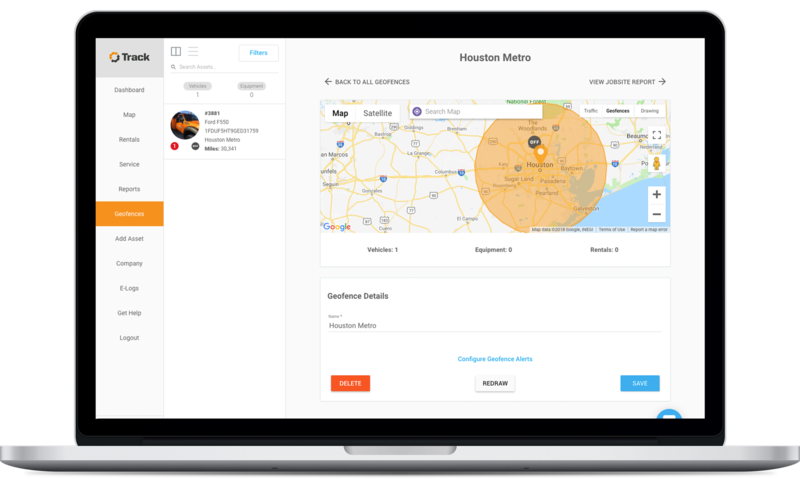 From Geofences to Digital Work Orders to Driver Scorecards, EquipmentShare Track helps you manage your mixed construction fleet. Do more than track the location of your vehicles and machines: keep them where they’re supposed to be with Geofences. Set a Geofence around a jobsite or equipment lot and get an alert if machines move outside their Geofence. If universal keys for construction equipment sound like a bad idea, that’s because they are. Machines equipped with our Sentry Keypad can be locked down and access restricted to certified operators assigned a unique Access Code. Access Codes make it nearly impossible for untrained employees or thieves to start up your machines. Identify inefficiencies and poor utilization across your fleet. In construction, waste means losing money. 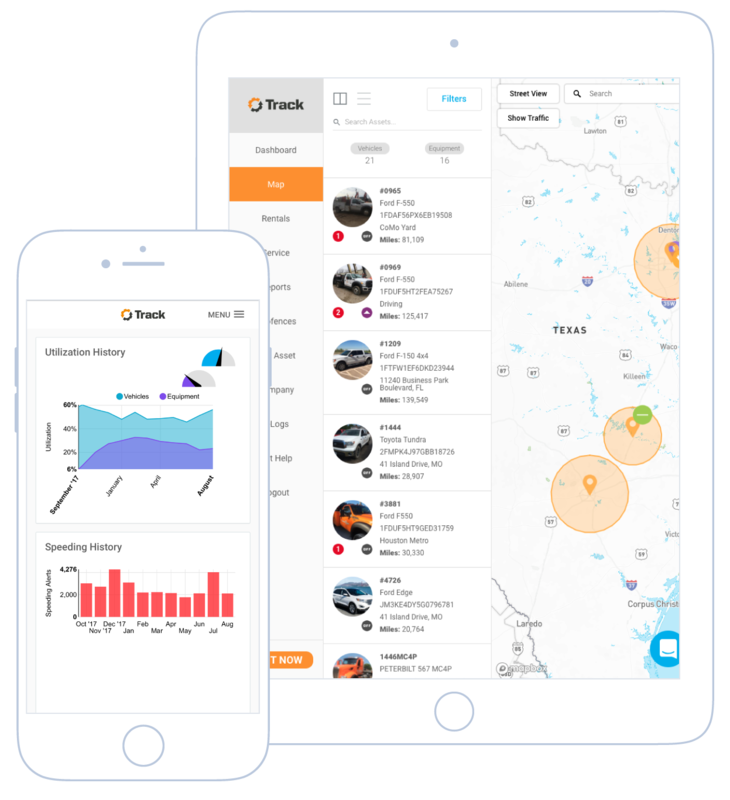 With Track, you can spot where that loss starts, whether it’s wasted fuel from an idling vehicle or wasted money on an underutilized machine. Eliminate the problem and start saving. Track keeps an eye on your drivers when you can’t, and when it’s most important—on the road. Set custom alerts and get notifications for dangerous behaviors like speeding and making sharp turns. With Driver Scorecards, you can identify habitually unsafe drivers and take action.